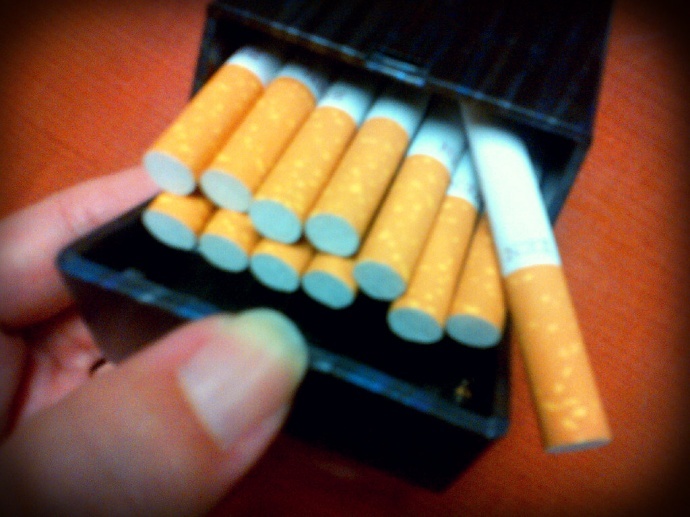 A bill that would raise the age of purchasing tobacco products in Hawaiʻi to 21 gained legislative approval this morning and is now being forwarded to the governor for his consideration. 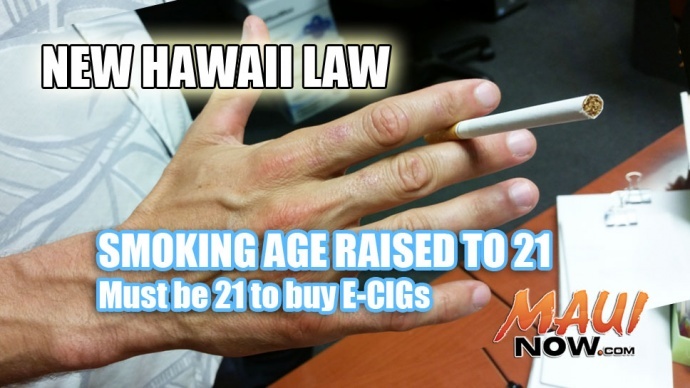 If Senate Bill 1030 is signed into law, it would make Hawaiʻi the first state in the nation to prohibit the sale of all tobacco products, including e-cigarettes, to individuals under the age of 21, according to the Coalition for a Tobacco Free Hawaiʻi. According to the CTFH, tobacco use or exposure claims 1,400 lives and costs $526 million in health care bills annually in Hawaiʻi. 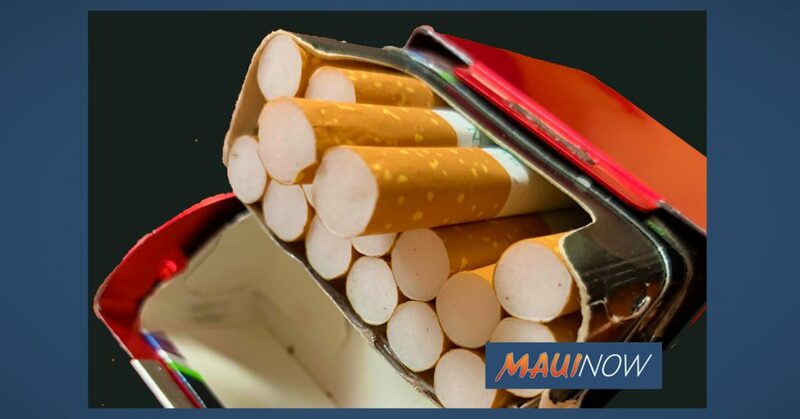 A statewide poll commissioned by the CTFH and conducted by SMS Research, also found that 77% of Hawaiʻi voters in 2014 supported raising the age of sale for tobacco products to 21. 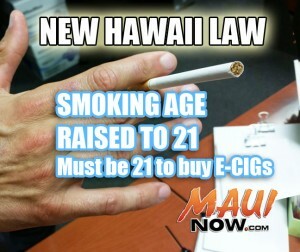 She continued saying that Hawaiʻi has taken a lead in “trying to cut the vicious addiction to smoking” among its youth. “Our state’s passage of this landmark bill provides an incredible boost to other states considering similar legislation,” she said. If signed into law, the bill would take effect on Jan. 1, 2016. Under the measure, any person under 21 years of age who violates the law would be subject to a $10 fine for the first offense, and $50 for a subsequent offense or 48-72 hours of community service. Anyone caught selling tobacco products or electronic smoking devices to persons under 21 years of age faces a $500 fine for the first offense; and fines of between $500 and $2,000 for subsequent offenses. 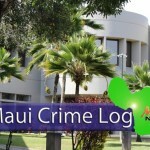 Here in Maui County, Earth Day earlier this week marked the one year anniversary of a bill that effectively banned the use of tobacco at county parks, beaches and recreational facilities. 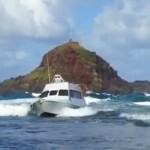 Violators of the law are subject to a $150-$500 citation.